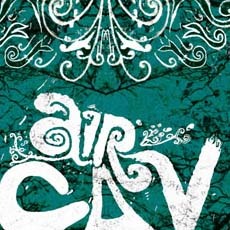 Air Cav are a Manchester four-piece who first flirted with the mainstream in 2008, when singles ‘Alliance’ and ‘Embers/Picking at The Bones’ were played on radio shows around the country. Since then, at least in terms of recording, the band have been awfully quiet. However, this has given them the time and space to produce a truly accomplished gem of an album, ‘Don’t Look Indoors’. It’s a tapestry of dissonant indie guitars, haunting violins and obscure vocal melodies held down by a pounding percussion section which makes for a really rich, cultured sound. Lead-off single ‘A Call to Arms’ has a distinct folkie feel to begin with but quickly blossoms into a thumping indie number driven along by the gorgeous violin playing of Sophie Parkes. The beautiful violins alongside the pounding rhythm section is a real theme of the album and it works wonderfully with a wide mix of sounds throughout. Another highlight is ‘Here Be Dragons’ which is a stand out track because of how huge it sounds. It’s got more than a touch of early U2 in the intro before finishing in a flourish with discordant group harmonies underpinned by the relentless rhythm provided by Allan Gaskin and Oisin Scarlett on drums and bass respectively. Previously released ‘Picking at the Bones’ wouldn’t be out of place sonically on a Foals album but dissonant guitars and violins playing off each other behind the unconventional vocal melodies of Chris Nield gives their sound a life of it’s own, as anybody who saw their triumphant set at Manchester’s In The City Unsigned will attest to. It’s certainly easy to see why their live shows have produced so much euphoria and with this brand new album under their belt and widespread radio play, plenty of people will get the chance to experience it firsthand very soon.